My parents bought their first house in the 1970’s, they were in their early 20’s. Interestingly, looking at some research by the Post Office from a few years ago, in the 1960’s the average age people bought their first house was 23. By the early 1970s, it had reached 27, rising to 28 in the early 1980’s. This year alone, 333 people in Melton Mowbray will turn 28 and 315 in 2017 .. and dare I say 361 in 2018 .... where are the Melton Mowbray youngsters going to live? Ask a Melton Mowbray ‘twenty something’ and they will say they do not expect to buy until they are in their mid thirties - seven years later than the 1980’s. One of the major problems facing young Melton Mowbray people is the large deposit needed to get a mortgage .. or is it? The average price paid for an apartment in Melton Mowbray over the last 12 months has been £115,600 meaning our first time buyer would need to save £5,780 as a deposit (as 95% mortgages have been available to first time buyers since 2010) plus a couple of thousand for solicitors and survey costs. A lot of money, but people don’t think anything today of spending a couple of thousand pounds to go on holiday. However, time and time again, in the starter home category of property, nine times out of ten the mortgage payments to buy a Melton Mowbray property are cheaper than having to rent in Melton Mowbray. It is the tenant’s perception that they believe they can’t buy, so choose not to. Over the last decade, culturally in the UK, there has been a change in the attitude to renting so, unless that attitude changes, I expect that the private rental sector in Melton Mowbray (and the UK as a whole) is likely to remain a popular choice for the next twenty plus years. With demand for Melton Mowbray rental property unlikely to slow and newly formed households continuing to choose the rental market instead of purchasing a property. 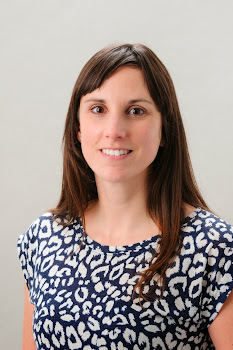 I recommend landlords pursue professional advice and adopt a realistic approach to rental increases to ensure that they are in line with inflation and any void periods are curtailed. 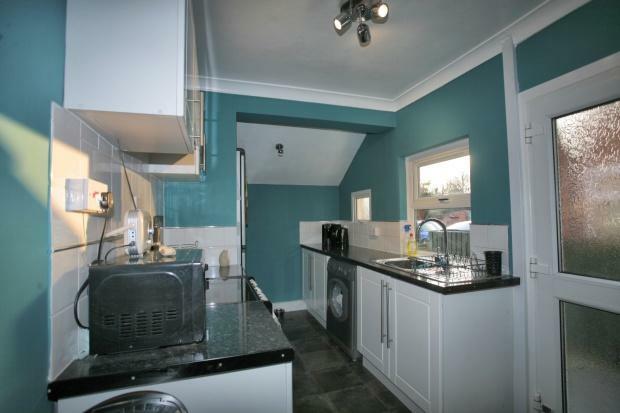 This property is for sale with Harrison Murray and is listed as offers over £119,950. 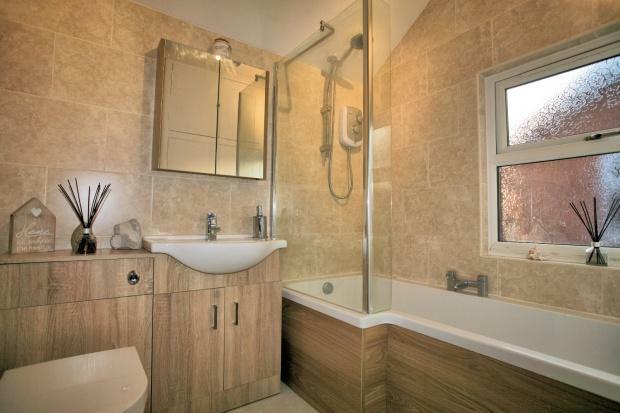 It is a lovely example of a 2 bed terrace and has a separate shower cubicle in the bathroom. 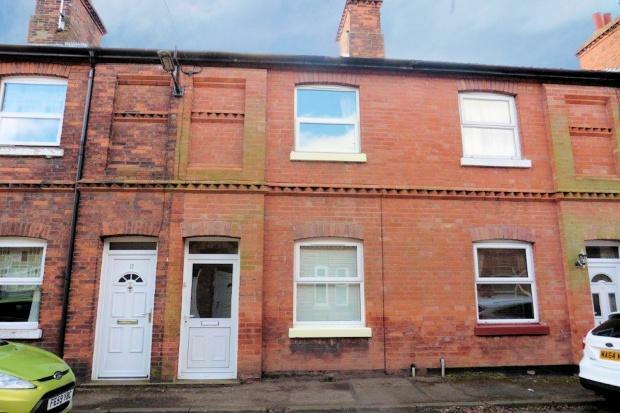 This 3 bed is on the market for £ 109,950 with Richard Watkinson on West Avenue in Melton Mowbray. 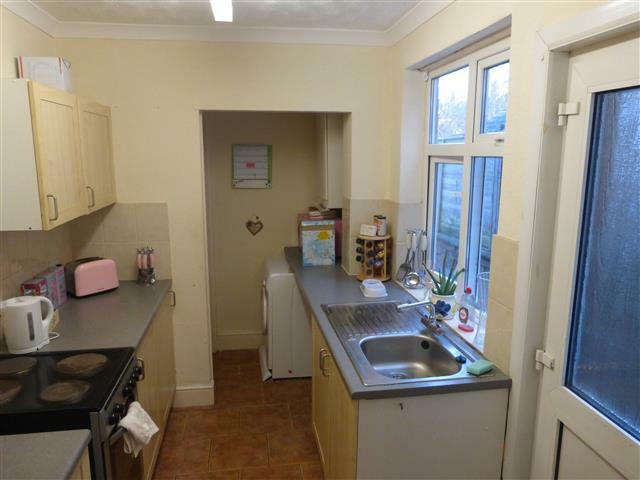 The details state the property is in need of upgrading however it is a large three bedroom property and although it is ex-authority it is the type of property that would provide an investor a good yield. I am always cautious when it comes to investing in ex-authority properties (see my article on the blog yesterday - 24th March) however this street has always let well as it backs onto the Defence Animal Centre horse paddocks. Only 1,814 Council Houses in the Melton Mowbray area left – opportunity or problem? The ‘Right to Buy’ scheme was a policy introduced in 1980 which gave secure council tenants the legal right to buy the Council home they were living in with huge discounts. The heyday of Council ‘Right To Buys’ was in the 80’s and 90’s, when 1,719,368 homes in the country were sold in this manner between October 1980 and April 1998. However, in 1997, the discount available to tenants of council houses was reduced and the numbers of properties being bought under the Right to Buy declined. So what does this mean for Melton Mowbray homeowners and landlords? Well quite a lot in fact! Looking at the figures for our local authority, whilst the number of ‘Right to Buys’ have dwindled over the last few years to an average of only 7 ‘Right to Buy’ sales per year, one must look further back in time. Looking at the overall figures, 1,301 Council properties were bought by council tenants in the Melton Borough Council area between 1980 and 1998. Big numbers by any measure and even more important to the whole Melton Mowbray property market (i.e. every Melton Mowbray homeowner, Melton Mowbray landlord and even Melton Mowbray aspiring first time buyers) when you consider these 1,301 properties make up a colossal 8.4% of all the privately owned properties in our area (because in the local authority area, there are only 15,498 privately owned properties). 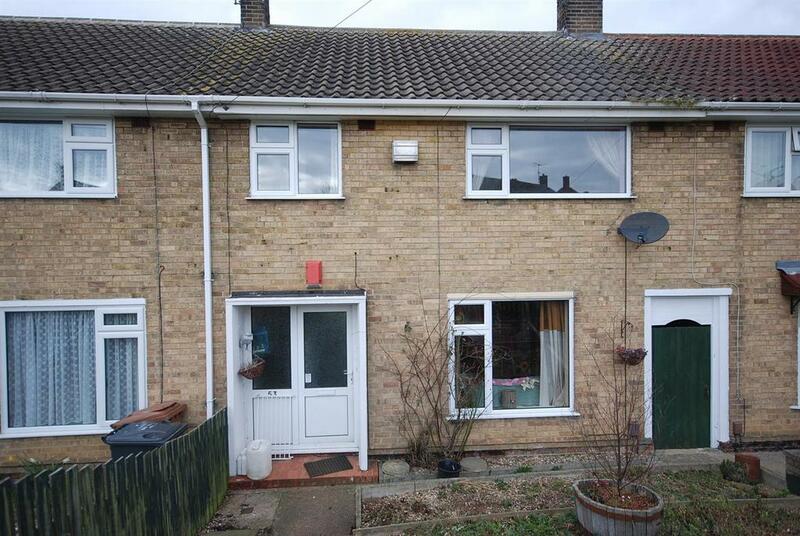 Melton Mowbray first time buyers and landlords can now buy these ex-council properties as those original 80’s and 90’s tenants (now homeowners) have more than passed the time of any claw back of the discount they received. Now let us all be honest, some (not all), but some ex-council properties lack the vital Kerb appeal that some landlords crave. Yes, the modern stuff being built in Melton Mowbray is lovely, but too many landlords purchase buy to let property solely based on where they would choose to live themselves, instead of choosing with a business head and choosing where a tenant would want to live ... because remember the first rule of buy to let property … you aren’t going to live the property yourself. What an ex-council property lack in terms of kerb appeal, they more than make up for in other ways. Tenants more worried about how close the property is to a particular school or family members, or the size of the rooms matter to them far more than the look of a property. Whilst ex-council properties tend to increase in value at a slower rate than more modern properties, that is more than made up in the much higher yields – and those built between the wars or just after are really well built. 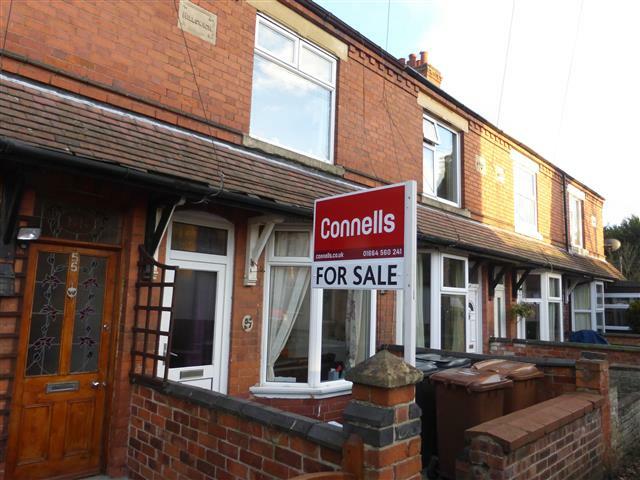 Tenant demand for such properties is good since Melton Mowbray property values are so expensive, a lot of people can’t get mortgages to buy, so they will reconcile themselves to renting, meaning there is a good demand for that sort of property to rent. Also, the very fact the council were forced to sell these Melton Mowbray properties in the 80’s and 90’s, means that today’s younger generation who would have normally got a council house to live in themselves, now can’t as many were sold ten or twenty years ago. So to Melton Mowbray landlords I say this … don’t dismiss ex-council houses but remember the 1st rule of buy to let (see above). 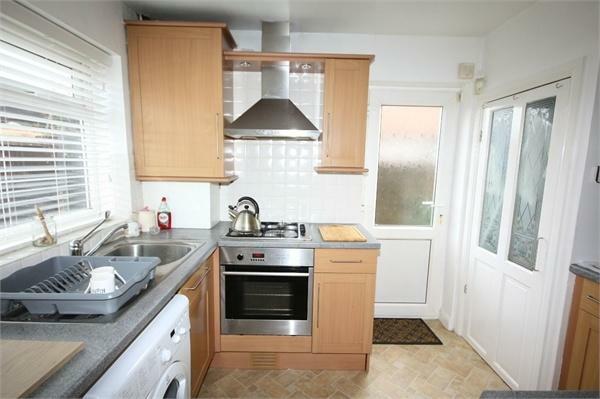 However, those very same Melton Mowbray landlords should go in with their eyes open and take lots of advice. Not all ex-council properties are the same and even though they have good demand and high yields, they can also give you other headaches and issues when it comes to the running of the rental property. 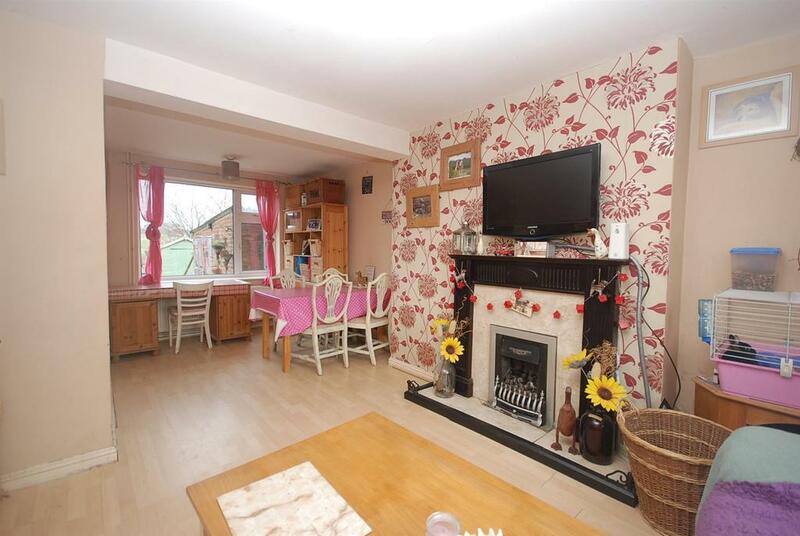 This really well presented property is on South Street in Asfordby Hill and for sale with Middletons for £118.000. We have one a few doors away that has recently let for £550 pcm and if purchased for the asking price would see a return of at least 5.59%. 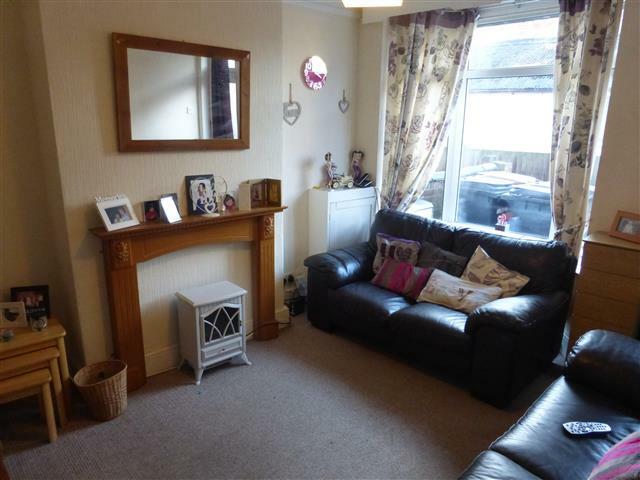 This 3 bed is up for sale with Connells and is listed as offers over £120,000. It is on Rosebery Avenue and we let a few around there. 999 Melton Mowbray Homes bought by private landlords in the last 20 years – Is this the end for first time buyers? I had a chat with a local landlord and he wanted to know my thoughts on the future of the Melton Mowbray property market. People are always going to need a roof over their heads and somewhere to live will never go out of fashion – it’s a necessity for every single person. The 22 to 30 year olds of the town have a choice to what type of roof they have ... they rent from the Council, they can rent from a private landlord or finally they can get a mortgage and buy one. In the 1970’s/80’s and 90’s, the expected thing was to save like mad for two years for the deposit (going without luxuries) whilst living at home or renting a cheap two up two down, then buy your first house. More recently fewer Melton Mowbray youngsters have been buying, choosing to rent instead – mainly from private landlords (as Councils have been selling off council housing on the Right to Buy Schemes). The numbers are truly staggering ... and I want to share them with you. Roll the clock back 20 years and Melton Mowbray was a different place. There were 9,763 households in Melton Mowbray and 7,224 of those were owner occupied. Move to the present, and with all the building in the town, the total number of households has increased by 18.95% to 11,613 and quite surprising (to me at least), the number of owner-occupiers has increased to 8,237 (although as a proportion, it is only 70.9% compared to 73.9% twenty years ago). However, it’s rented sector that is truly fascinating … twenty years ago, only 534 properties were privately rented in Melton Mowbray ... and now its 1,533, a rise of 999. The twentysomethings of Melton Mowbray housing difficulties haven’t been helped by the local authority selling off council housing, with the number of council houses dropping from 1,364 to 1,176 over the same twenty-year period. Demand for decent rented property remains high, as Cameron’s much vaunted house building program is years away and has decades of under investment to catch up on before it starts to affect demand. Even with the Buy to Let tax rule changes over the coming few years (which will see the maximum tax relief available to landlords drop from 45% to 20%), private landlords still have an important role to play in housing the people of Melton Mowbray and those who educate themselves and treat it as a business will survive and prosper. The best way Melton Mowbray landlords can protect their income from property (and mitigate the affects of the tax rises) is to keep the homes they let out in Grade A condition. I have found, especially over the last three or four years, Melton Mowbray tenants have ever growing demands from their rental property, but many are prepared to pay ‘top dollar‘ for houses and apartments that meet their high expectations. You must not forget, letting property in Melton Mowbray (in fact anywhere) is a business, so all private landlords should also seek the advice, opinion and commentary of property professionals. He also asked ‘What of the news of Stamp Duty changes for Landlords coming in April?’ My thoughts are with such low supply (i.e. numbers of property for sale), and high demand it is hard to imagine Melton Mowbray property values will see much impact – but I predict, ever so slightly, the proportion of owner occupiers should increase slightly compared to buy to let landlords in the coming decade as the the housing market should return to balance. For more in-depth thoughts on the Melton Mowbray Property Market, please feel free to give me a call on 01664 569700. George Osborne has decided now is the time to change taxation for buy to let property, many pundits are predicting the end of buy to let as we know it. However, it is still possible to make a reasonable, profitable and safe return on property with these changes. You need to study the market, take advice and opinions from many people and then decide what the best course of action should be… remember, tenants will always want a roof over their head and I don’t see the HM Government building the millions of houses required to house them? Looking specifically at the Rutland and Melton Parliamentary Constituency, twenty years ago, 24,218 households (meaning 68.37% of property) was owned and only 2,513 households were privately rented (meaning 7.09% of property was rented out by private landlords). Roll the clocks on twenty years and 30,376 of properties in the Constituency are home-owners (72.52% being owner occupied) and the jump in private renting has high, as 5,968 properties are now privately rented proportionally 14.24%). (NB Neighbouring Constituencies show similar changes as well). Melton Mowbray would have grown by 100.84% in the proceeding 20 years? The property market is constantly changing and buy to let for too long has been heavily dependent solely on house price growth, where yield has been almost forgotten. I see the changes in tax and landlord and tenant law in a different perspective to the doom-mongers and see it as bringing many opportunities. You might need to change your buy to let benchmarks, your approach to financing or even consider places other than Melton Mowbray in which to invest your money, but this will shine a light on investing in properties with healthier yields and create more realistic long term buy to let opportunities, instead of short term growth bets and wagers. The advice I give to my landlords is these changes will make some landlords panic, meaning competition for decent Melton Mowbray buy to let bargains will reduce as fear of change kicks in and amateur investors leave the market. These opportunities will provide a more stable platform for knowledgeable and wise Melton Mowbray buy to let landlords to thrive in. If you want to learn more about the Melton Mowbray Property Market, feel free to pop in for a coffee at our office for a chat with me at 27 Burton Street. 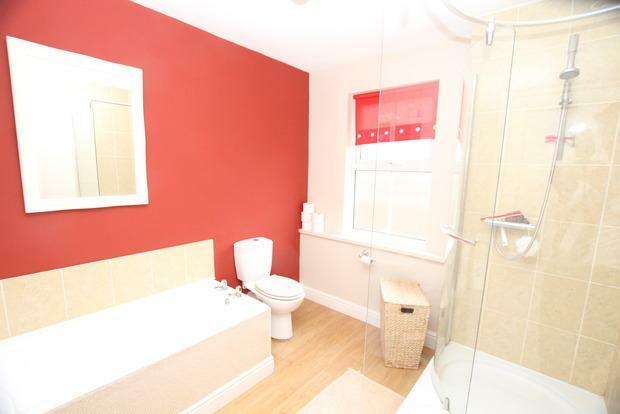 This property is listed with Anthony Hancock and is on Baldocks lane for sale at £159,950. 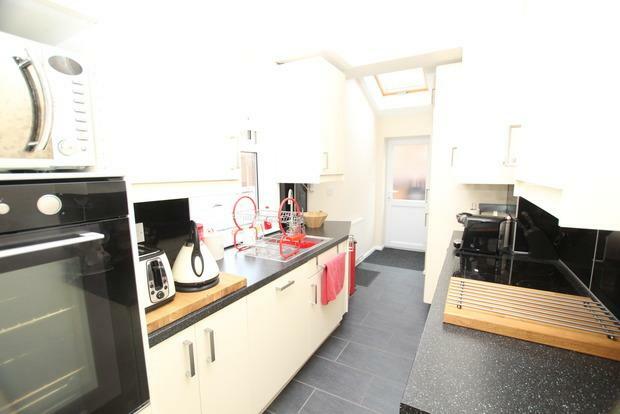 It is the type of property which would easily achieve £625 pcm (potential 4.8% yield) and should see a good level of capital growth as it has room for extension in the future. This is something that will really help when it comes to re sale. £145,000 inheritance - Is buying Melton Mowbray Property still the best place for my windfall? I had an interesting email from a gentleman recently that I want to share with you (don’t worry he is happy that I share this with you all). In a nutshell, he lives in Asfordby, still works and is in his mid 60’s. He has a decent pension, so that when he does retire in a couple of years’ time, it will give him a comfortable life. He recently inherited £145,000 from an elderly aunt and was looking at options on how best to invest this. One option he said was to put it into a savings account or a 2 year bond with the Post Office, this paid 1.9%; meaning he would get £2,755 in interest a year. His other thought was to buy a property in Melton Mowbray to rent out and he wanted to know my thoughts on what he should buy. He didn’t want to take a mortgage out at his time of life and was also worried about all the tax changes he had read about in the papers for Landlords. Notwithstanding the war on Melton Mowbray landlords being waged by George Osborne, the attraction of bricks and mortar endures for many. As our man is a cash buyer, he would not have to deal with the intricate cut to mortgage interest tax relief that will diminish, or even eradicate, the profits of many Melton Mowbray landlords. It’s true he would face the extra 3% in stamp duty to buy a second property, but with some good negotiation techniques, that could soon be mitigated. I told him that buying a Melton Mowbray buy to let property is all about the total return on investment. Yes, he could put the money in the Post Office bond and receive his interest of £2,755 a year or, as he rightly suggested, invest in property in Melton Mowbray. 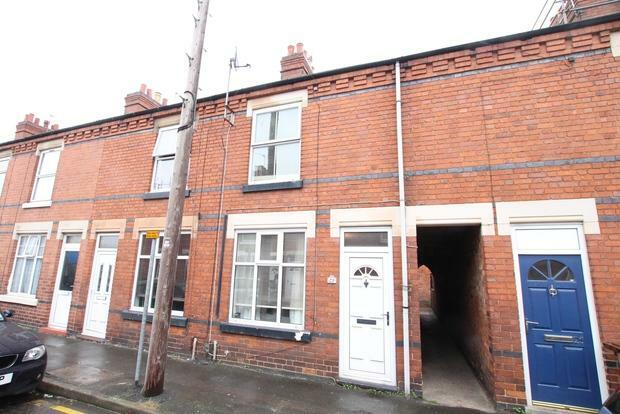 The average yield (yield being the equivalent of the interest rate on the property) at the moment in Melton Mowbray is 3.95% per annum, meaning our potential F.T.L (First Time Landlord) should be able to, depending on what he bought in the town, earn (before costs) £5,727 a year. The bottom line is that the success of investing in Melton Mowbray buy to let property versus a savings account with the Post Office, Bank or Building Society offering the best rate) will depend on the performance of those assets. Unlike with a savings account, with property the capital you invested can also go up (and yes, it can go down as well – more of that in second). Property values in Melton Mowbray have risen in the last twelve months by 3.2% meaning, that if our chap had bought a year ago, not only would he have received the £5,727 in rent, but also seen an uplift of £4,640 … meaning his overall return for the year would have been £10,367 (not bad when compared to the alternative saving options!). Some of you will say, property values can go down, as they did in 2008, and in 1988 and 1979. This is true, but after 1979 prices had bounced back to their ’79 levels by 1984 they went on to grow an additional 58% in the following four years. In 1988 they dropped and did take 13 years to reach back to those ’88 figures, but the following six years (between 2001 and 2007) they then increased by an additional 66%. According to the Land Registry, average property values in Leicestershire currently stand 3.46% below the January 2008 level, and anecdotal evidence suggests that in the nicer parts of Melton Mowbray, we are well above these sorts of levels. Therefore, all this talk of property crashes is unfounded. 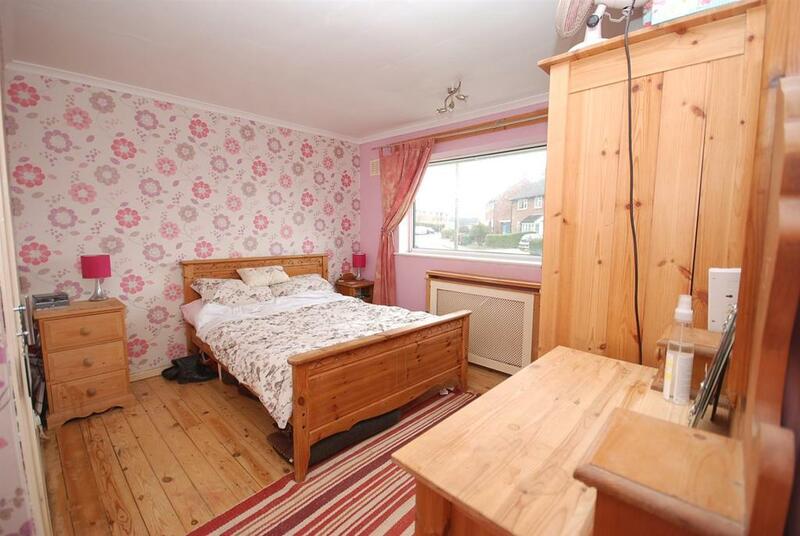 So, what would that £145,000 get you in Melton Mowbray? 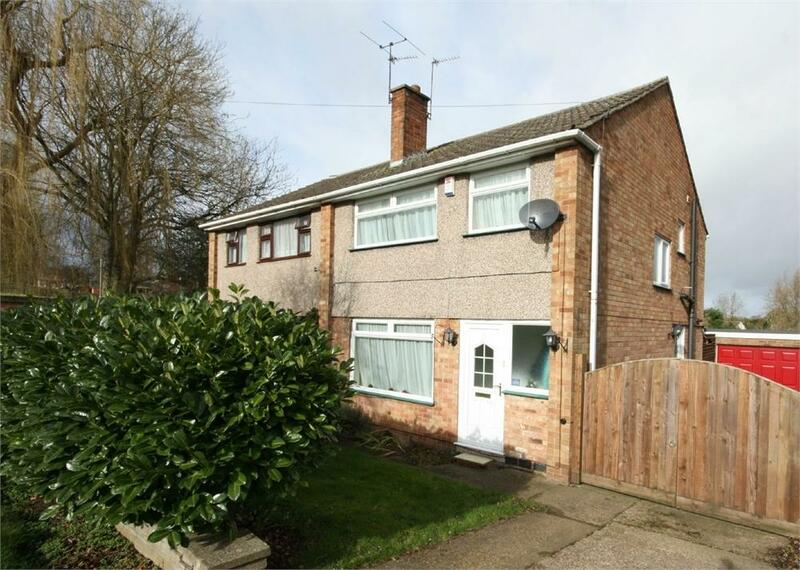 A decent 3 bed semi in Asfordby or close to the Melton town centre, maybe a 2 bed semi off Nottingham Road .. in fact, the world is your oyster. But which Oyster? If you want to read similar articles like this and what I consider to be the very best of buy to let deals in Melton Mowbray, irrespective of which agent is selling it, then follow this blog.